New TOM'S BRONCO PARTS Exclusive!!! 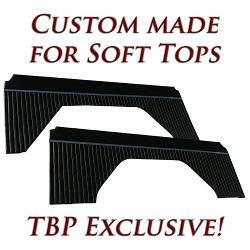 These Vinyl Quarter Panel Inserts are designed to work properly with a Soft Top or when running without a top. 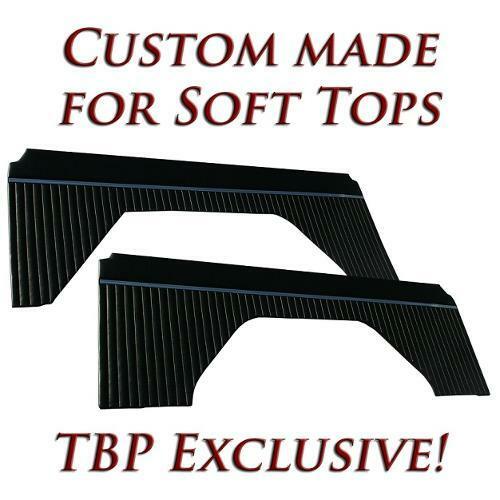 This is a pair of high-quality vinyl quarter panel inserts in black. Inserts do not include mounting hardware. They will interference fit around the wheel well. We recommend purchasing velcro strips from your local fabric store or dollar store to secure the vertical sides to the body.